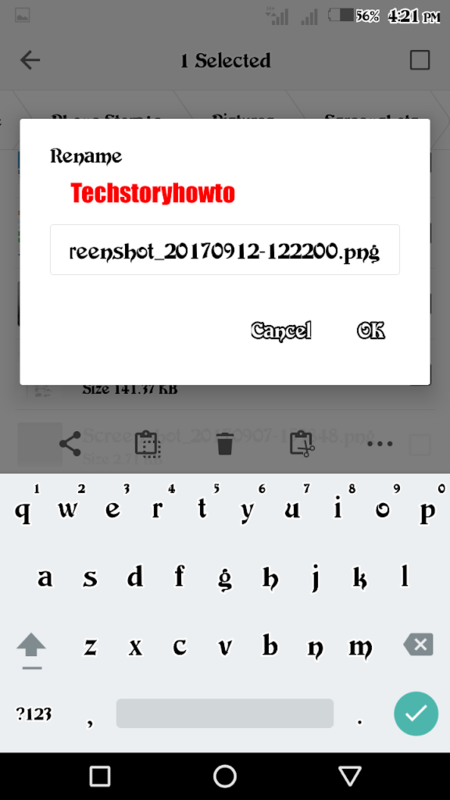 In this tutorial, I will be showing you how I normally hide my files from friends most people do this by downloading security apps like cm locker, vault, app lock e.t.c and these apps are dangerous apps most of them pop up unwanted ads drains your battery increase junk files which make your phone very slow when operating them some of them let your UI ( user interface ) stop responding and restarts unexpectedly some security apps consumes your data with background updates and you won’t notice. With this simple steps, you can hide your files and stay safe from phone brake down. Make sure you are able to locate your file source and the name of the file you want to hide. how do you locate your file source? it simple if you are to hiding an image file or video file all you have to do is go to your gallery ( your gallery is meant to show all media files on your phone except music files ) click and hold on the file you want to hide for 5 seconds the file will be selected then click on option>>details/properties information about the file will be displayed on your screen like the date created the file location also known as “path” ( which is your source folder ) and the file size. 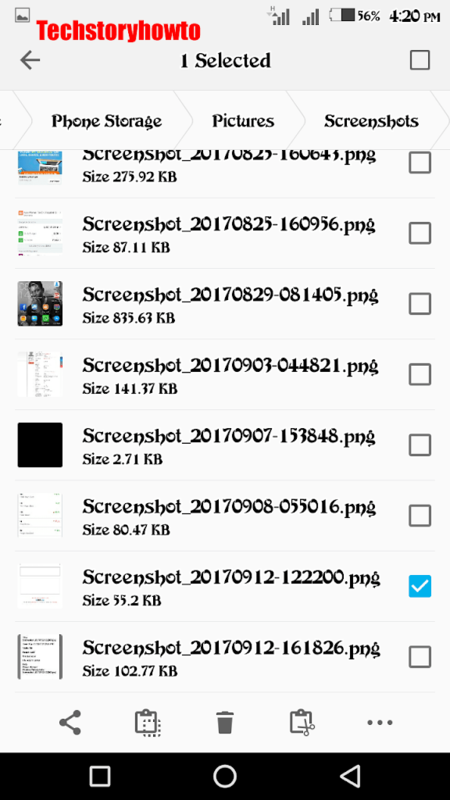 Now that you know where your file is located go to your file manager you can also use a file explorer, if your image/video file is located in your download folder click on your download folder ( mine is located in my screenshot folder )locate the file name or search. 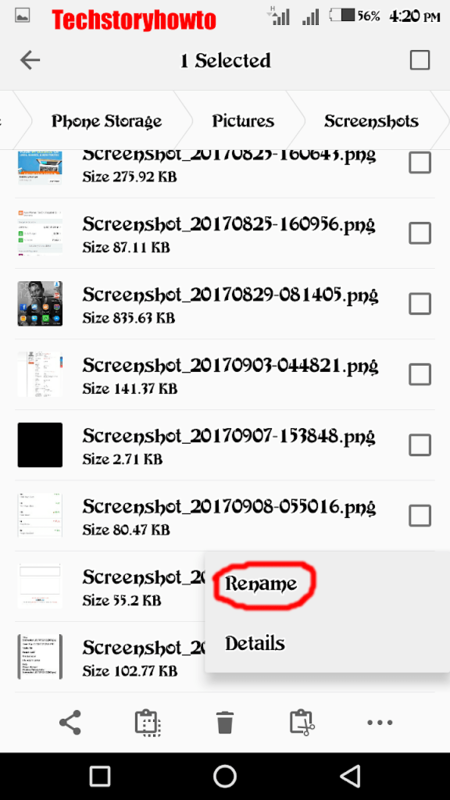 After clicking on the rename a pop up shows with the name of the file and a ( . ) 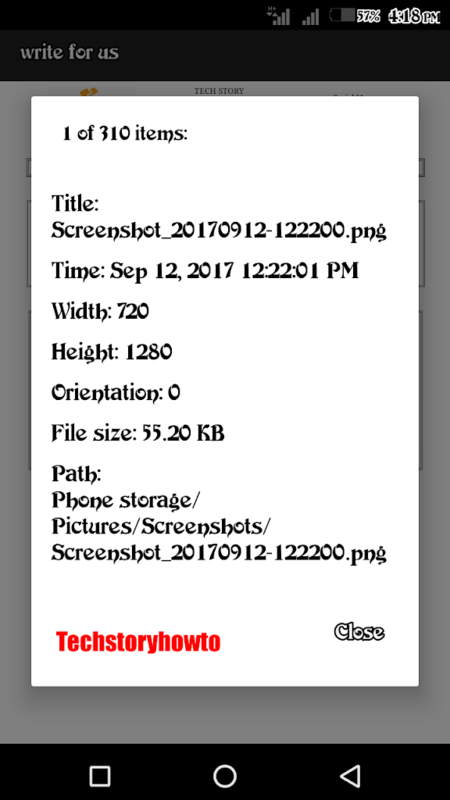 after it for example if my image file is muideensamuel.jpeg all I have to focus on is the .jpeg after the name. You must be wondering why the steps are this much if you have not done this before it hard to understand. 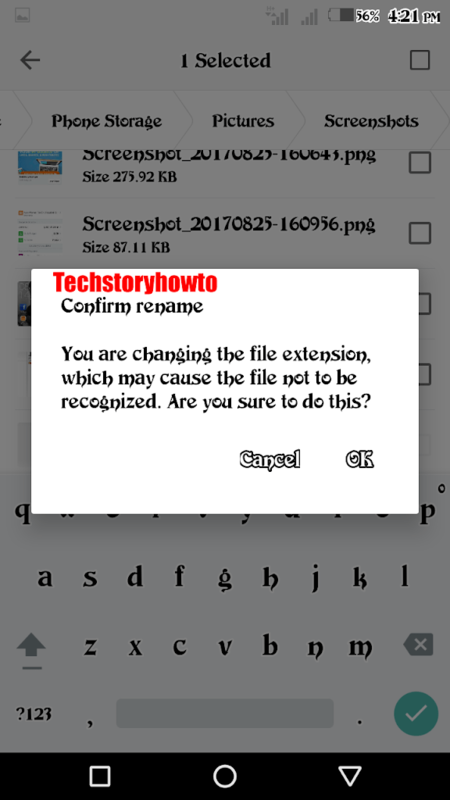 then click OK, you can also replace it with .txt( text file) .exe( windows file) .zip( extractable file) etc. If you have any question concerning this post try and use the comment box or message me muideensamuel92@gmail.com also share to your friends who might need this. Welcome Prateek, i use to zip my files also but not anymore there is more stress in unzipping your file most especially when you dont have the app to do that for you. I used to zip the folder to hide it as nobody is willing to see those zip files. But this is something new. Thanks. I must commend you for this very detailed and informative post on this subject. I have learnt something new. This is really great, I didn't know that we can do this in our phone. thanks for the infos. Thanks for sharing i will try it on my android mobile. Great! Is there also a way for iphones?